This preparation course is designed for international students who would like to improve their Czech and English language skills for academic studies in state or private universities in the Czech Republic or other countries. Courses are taught by the best professors from CZU and CVUT. Get prepared for your university degree with the Czech University of Life Sciences (CULS) and TRC Foundation Programme in Prague. is endorsed by the UK examinations board QUALIFI at Level 3 - the same level as A levels or IB. 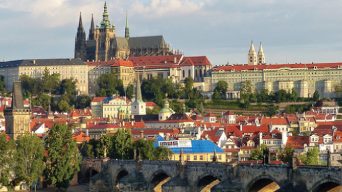 This means you will get a UK qualification studying in Prague, the Czech Republic, and can apply to any Higher Education Programme taught in the English language anywhere in the world; as well as a guaranteed place at one of TRC's partner universities. Benefit from TRC College partnerships - there are 25 Universities around the World (UK, USA, Canada and Caribbean) where you can enter after the CULS TRC University Foundation Programme. A University Foundation Programme in Prague with high British standards. Accounting, Biology, Business Studies, Chemistry, Economics, Law, Further Mathematics, Physics, Government and Politics, Psychology, Sociology.